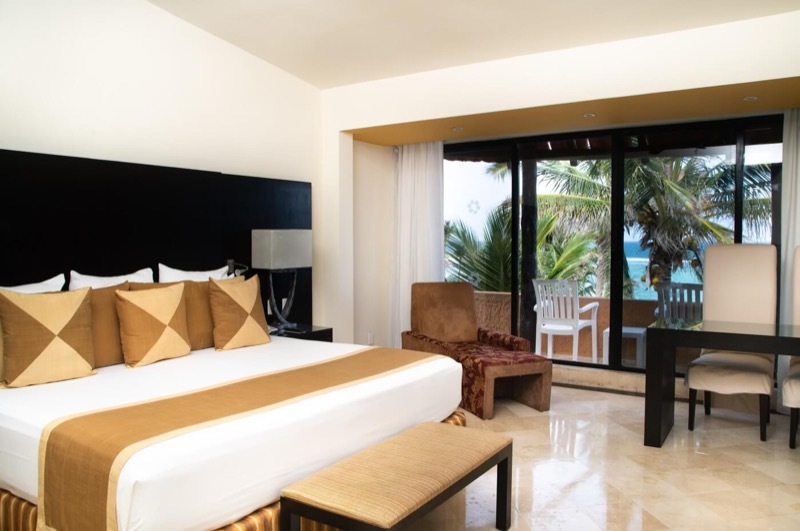 Enjoy a pleasant stay during your trip to Tulum in the rooms of Grand Oasis Tulum, which guarantee a tranquil and peaceful adventure in this all-inclusive paradise located amid the green jungle of the Riviera Maya, and the amazing turquoise beaches of the Caribbean Sea. Relax in our comfortable and cozy rooms, full of amenities that will turn your stay into a first class experience. Experience a superior level of comfort by staying at our Ocean View Room. 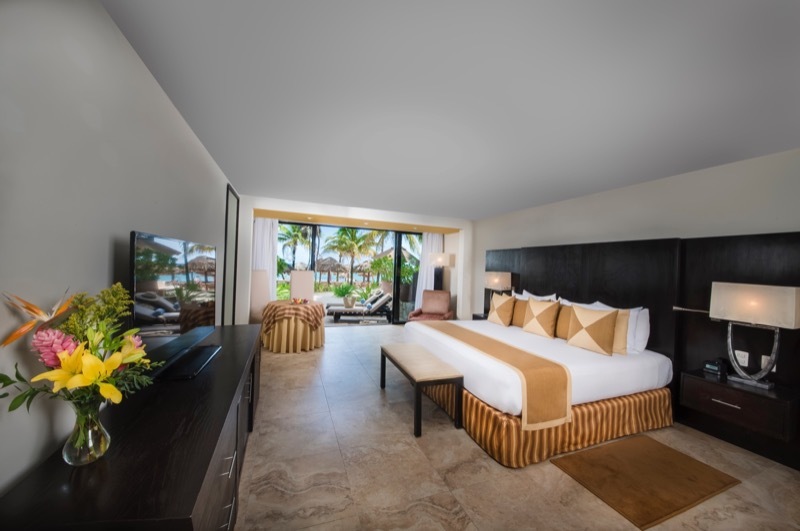 With its outstanding ocean views that will take your breath away, this room offers beautiful decoration, unique comfort, plus all the amazing amenities that will take this trip to the next level. Pamper yourself and enjoy your stay at Grand Oasis Tulum with service and quality that will exceed your expectations. 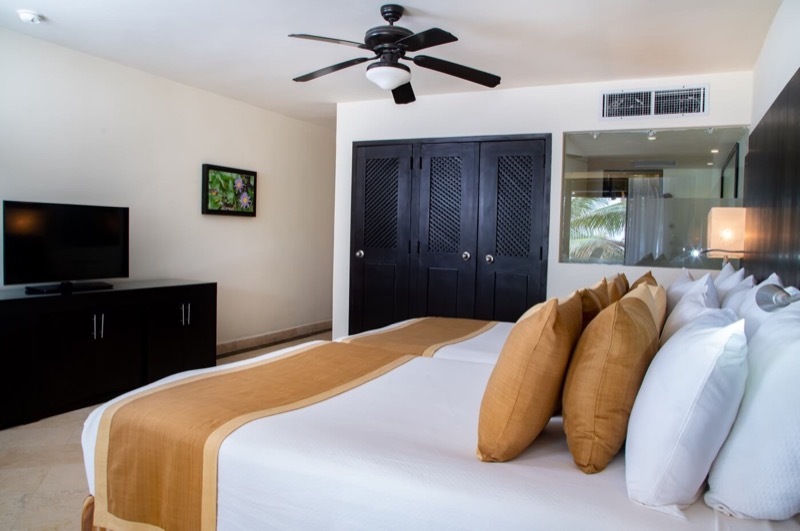 The Standard rooms at Grand Oasis Tulum offer a beautifully put together environment that makes them the perfect place to relax after a long day at the beach. Stay here and take pleasure in all the available amenities, comfortable and soft beds, air conditioning, and a private bathroom. Live the moment and enjoy the ultimate all-inclusive tropical experience that our rooms have in store for you. Enjoy a family vacation in Tulum by staying at the Family room that this all-inclusive resort has to offer. Inside it you will find a living room with a spacious dining area for the whole family, comfortable and wide beds, a private bathroom, air conditioning and a terrace just a few steps away from the Caribbean beaches. Spoil your family with a vacation they will never forget.